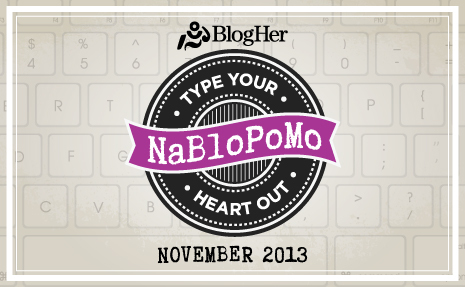 NaBloPoMo – National Blog Posting Month, brought to us by BlogHer. The challenge? Post every day for the month of November. No particular theme but if you get stuck there is a ist of prompts and questions for each day. I’m going to continue blogging about Thailand, teaching and me but I’m gonna try and keep up this posting every day for another month. Apologies in advance if you’re getting fed up with me! At least this month I’m back in Thailand so there will always be something weird and wonderful to post about. If you are interested in taking part in the challenge you need to sign up before 5th November. This looks like it might be the biggest group challenge out there, so get involved if you can! Posted on November 3, 2013 October 11, 2014 by cornishkyliePosted in Random thoughtsTagged blog challenge, blogging, blogher, nablopomo, postaday.